To finish off this week’s three-part pre-Christmas special, here are a few more thoughts to prompt your thinking and praying as you prepare to preach during advent this year. 1. Ancient story always relevant. It is easy to settle into an ancient storytelling mode and fail to make crystal clear connections to the messy world of today. Christmas is massively relevant because the Incarnation changes everything (that and the Resurrection . . . two massive moments in history!) Let’s think and pray long and hard about how the messages are going to engage the listeners with a sense of compelling relevance to today. Our world. Our culture. Our lives. Our struggles. Not that the focus is us, but because the incarnation is massively relevant always. 2. Ancient story was not a painting. One of the most effective ways to communicate contemporary relevance for listeners today is to take them beyond a Christmas card view of the first Christmas. What were the realities facing Mary and Joseph? What kind of a culture did they live in? How would that pregnancy shape their lives? Helping people to get beyond stained glass window views of the first Christmas can resonate deeply with the situations and struggles we face today. 3. Offer a contemporary relevance, not just the ancient one. The reason Jesus came into the world was to go to the cross, back then. It was a once and for all mission. But the incarnation has burning relevance to our world today. Think and pray through how to convey the fact that Christmas matters now, and not just as a moment to look back on an ancient mission, albeit an important one. 4. Tap into the various emotions of Christmas. I suppose it is easy to slide into nostalgia at Christmas. Chestnuts roasting on an open fire, sleigh bells ringing, snow glistening, logs on the fire, gifts by the tree, etc. etc. But what about other related emotions? Missing family members through bereavement or separation. 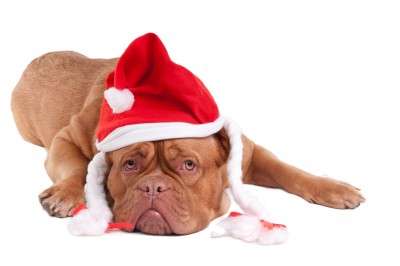 Seasonally affected discouragement disorders that make for a depressing time of year. Difficult childhood memories only exacerbated by the overt nostalgia nudges all around. Christmas is a good time to offer a sensitivity in your preaching that shows you aren’t part of the hyped up marketing machine. 5. Don’t miss the opportunity Christmas preaching offers. The reason Jesus came into the world was to go to the cross, once for all. It wouldn’t be good to make some sort of contemporary emphasis that loses sight of why Christmas really occurred. Remember that some people will only come to church at Christmas – don’t miss the opportunity to make sense of the season for them.